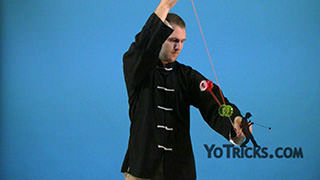 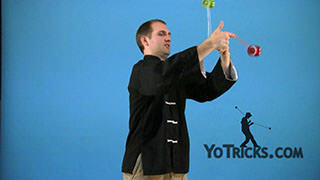 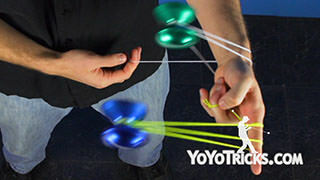 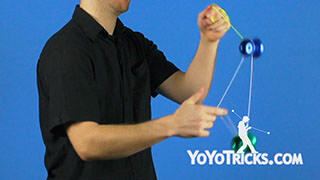 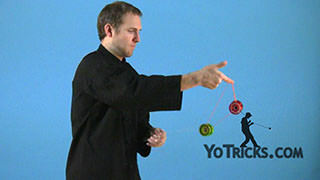 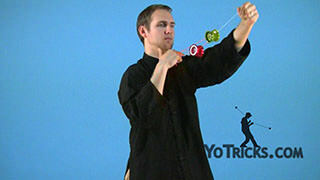 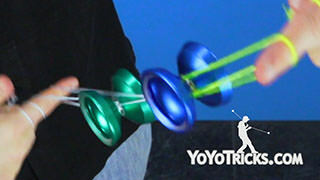 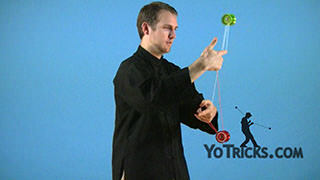 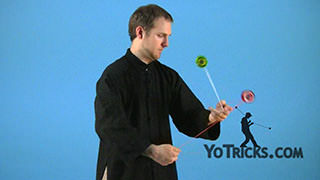 Learn the 3A Yoyo Trick Velvet Mount. Velvet Mount Yoyo TrickThis trick is called the Velvet Mount, it looks like this. 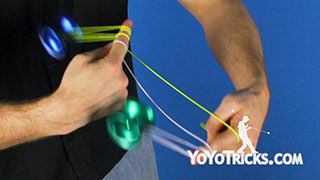 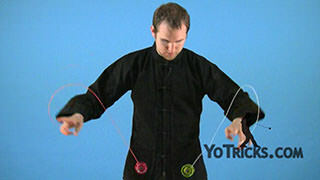 To do this mount, all you are going to do, is you are going to throw each yoyo down, and you are going to use your opposite index finger to lift the string up, and place the yoyo on the string. 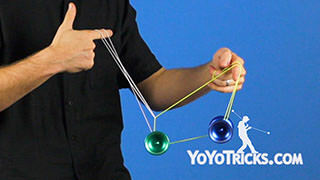 In the Brain-Scrambler video, we taught you an easy way to get into the front-mount, that is really all that this is, but you are going to do it with both yoyos at the same time. 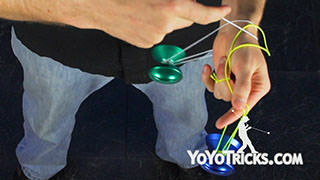 All you do is throw them down; start by doing your non-dominant hand. 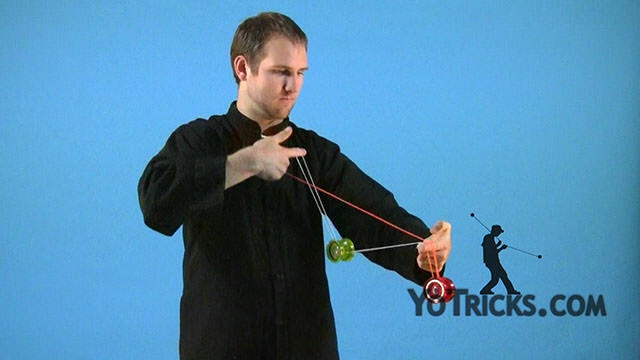 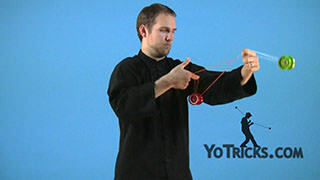 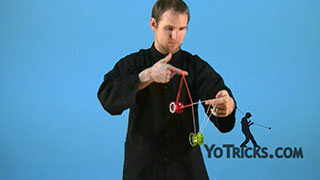 Lift it up, and put the yoyo on the string, and at the same time push your dominant hand into the string. 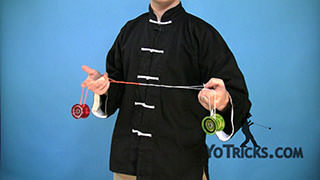 Lift it up and place it on its own string. 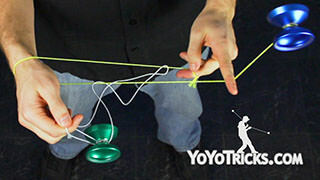 Now each yoyo is mounted on its own string. 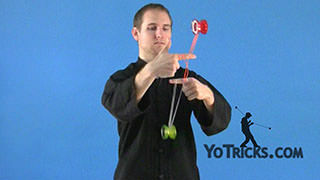 Since this is not a kink mount you can drop it at any point and you won’t get a knot. 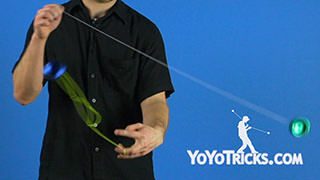 The trick is really not all that hard, but it leads into a lot of other tricks that can be a lot of fun. 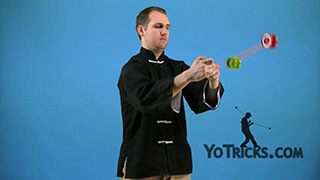 So practice it, get it down.